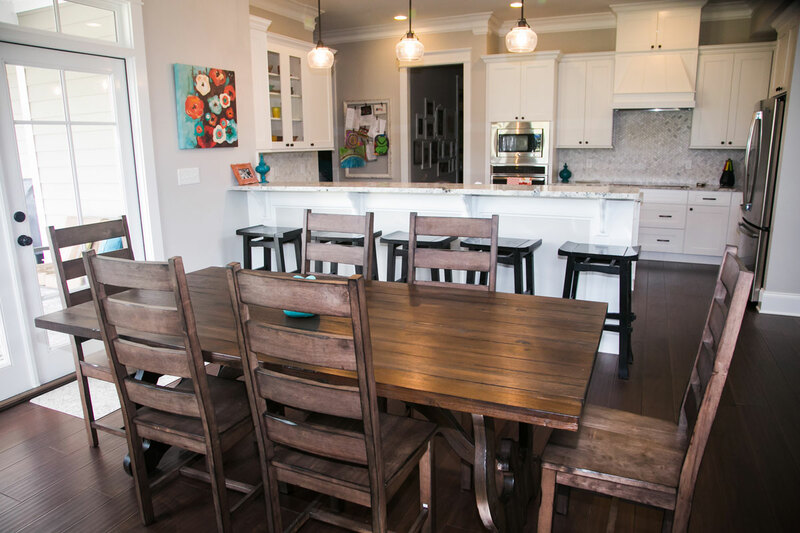 Thanks in no small measure to the popularity of HGTV’s hit series Fixer Upper, farmhouse style is all the rage. What kind of flooring should you be looking at if you want to embrace the farmhouse-style trend? As The Flooring Girl points out, “Wide planks give the home an authentic old world look.” She recommends that you look for planks that are at least 5 inches wide. “If you can [go] wider (e.g. 6 to 7″), that’s even better.” Wide planks, she adds, will make your room look larger. Using a skilled flooring professional like Kuhn Flooring Company of Palm Beach will help you avoid the common mistakes Flooring Girl says both DIYers and general contractors make when installing these distinctive planks. Our scope of work includes design and installation of a variety of flooring products while highlighting quality control, operational efficiency, and superior customer service. Our professional installers and experienced craftsmen will provide complete satisfaction. “For a modern farmhouse look,” Flooring Girl says, “you want to go natural (i.e. no stain), white wash or some sort of gray mix. These lighter and muted color mixes tend to work best for this style. Also, they make your space look lighter and more airy, as well as larger.” Bonus – they are more forgiving when it comes to dirt and scratches. At Kuhn Flooring, a full-service flooring company with a gallery of flooring in Coral Springs and in Lighthouse Point, you will find a wide selection of hardwood engineered flooring as well as porcelain tiles and luxury vinyl planks that look like hardwood. From exotic species to native favorites, we offer residential and commercial flooring solutions featuring variable widths and hand-scraped finishes.